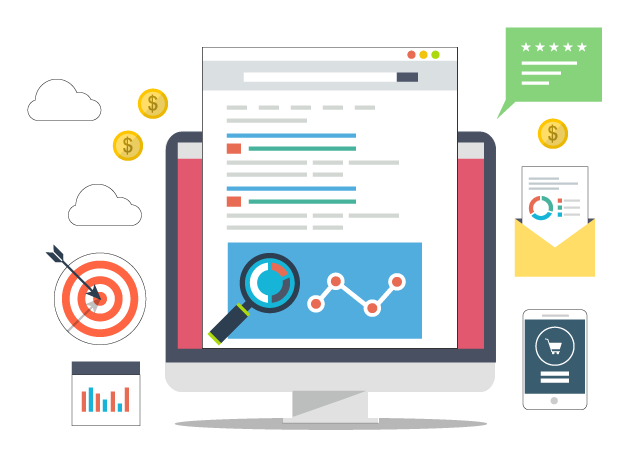 Using a strategic account management setup, we can properly gauge the performance of your SEM campaign. Don’t forget that’s how structured your campaigns and adgroups are. Week-parting, day-parting, multivariate testing, geo-targeting, and gauging the effectiveness of ad copy in an A-B test are all tactics we employ to ensure we maximize your return and revenue. Copyright © 2017 agencyTHE, LLC. All rights reserved.